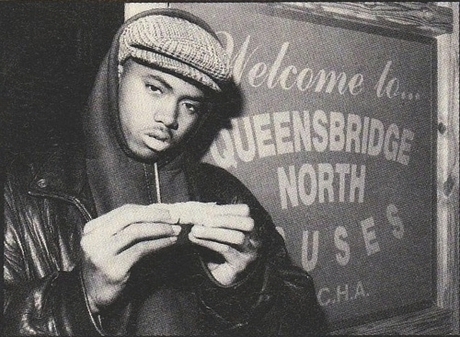 Amongst the influential rap artists of the 1990’s was Nasir Jones, more commonly known as Nas or by his self-proclaimed name, “King of New York”. Although his street credit and reputation has fluctuated throughout his 24-year-long career, he’s proved to be one of the greatest lyrists of all time. 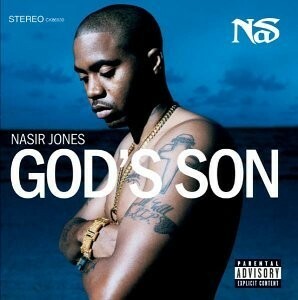 In 2003, Nas released what critics identify as his most introspective body of work. Inspired by the death of his mother, from earlier that year, as well as other emotional experiences from throughout his lifetime, his seventh album, “God’s Son” redefined his role as a social and political figure. Although the seventh song featured on the album, “I Can” was identified as one of his more commercially viable tracks, it encompassed great value and influence. For the full lyrics refer to the bottom of the page. The song begins featuring a children’s choir reciting the chorus. Within the first two verses of the narrative, Nas warns his audience (“B-boys and girls”) of the realities that exist throughout urban communities, such as education deficiency, drug abuse and the sexual exploitation of minors. The third verse, Nas introduces a radical narrative of black politics intended to educate his audience on aspects of historical African culture. In doing this, Nas is attempting to restore pride, confidence, and the desire to succeed into African-American communities. Through the lyrics, Nas is attempting to achieve social and political development by producing change in limited aspects of society. The theme of the narrative being, the youth has the power to determine the future. The message being if you believe in yourself and work hard, you can become and be where you want to be. “I Can” was a hit, inspiring its Nas’ audience to date. A student recalls her seventh grade teacher, forcing her class to not only sing the “I Can” chorus at the beginning of every school day, but also to have the lyrics memorized. The student, Dominique Carson reflects the routine at first as annoying. Then states, “12 years later, I thank Mr. Duncan for allowing us to memorize the lyrics to Nas’ song because it has instigated my growth as a person, sister, daughter, friend, and child of God”. She explains how the African historical narrative, fulfilled an educational element many rap artists neglect to incorporate, yet would make their work more meaningful. By incorporating education, the audience has an opportunity to learn from the song, creating long-term impact. Although Nas uses a less violent narrative than both the N.W.A and Tupac, the audience still undoubtedly understands his feelings and experiences. Society accepts Nas as a social and political figure because early in his career, he acknowledged that there is more to life than life in the hood. As Nas grew older and more mature, he strongly pushed the message through his music. Yvonne Bynoe, Encyclopedia of Rap and Hip Hop. (Greenwood Publishing: 2005). JSmoove, “20 Years and counting: Nas’s impact on Hip Hop”, The Randall Barnes Experience (2011). Accessed April 10, 2015. Parker Blackburn, Nicole Waldron, Cassandra Fisher, Page Little, “Nas – I Know I Can” (SOCY 1001, University of Colorado, Boulder, 2012). Dominique Carson, “Nas’ “I Can”” Soul Train (2015). Accessed April 10, 2015. Eliott C, McLaughlin, “A case for Nas, hip-hop’s finest MC”. CNN (2013). Accessed April 10, 2015.